Finally - my HDTV is here ! Discussion in 'The Show Off Section' started by coolcatric, Jun 26, 2012. I am uploading files. Request you all to check it & let me know if everything is legit. I have my doubts on 3D glasses. Thanks lot guys. 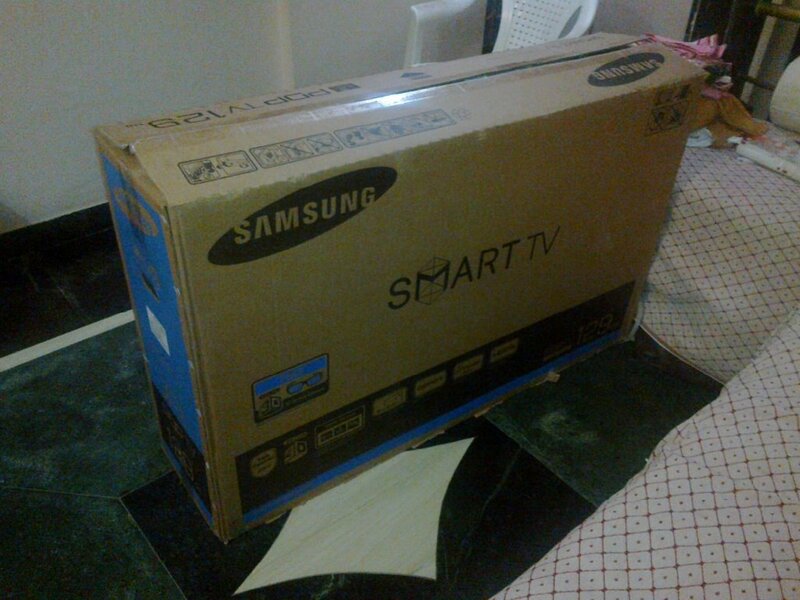 Bougth it from Samsung Konnect shop in Udaipur. One has be fility rich to afford these kinda stuff, btw which idiot suggested you to buy a plamsa? Please use proper image embedding !! On a serious note, use a really good voltage stabilizer from day one, run the TV with all pic parameters set half way for a week. Tried doing the same 5 times, but got error. so used this website to upload pictures. Done. Please suggest some good stabilizer. dont use chrome for uploading pictures. Opera or FF. BTW, I used Imgur or something !! Buy any 1KVA servo stabilizer. Finally Congrats. How deep were the damages ?